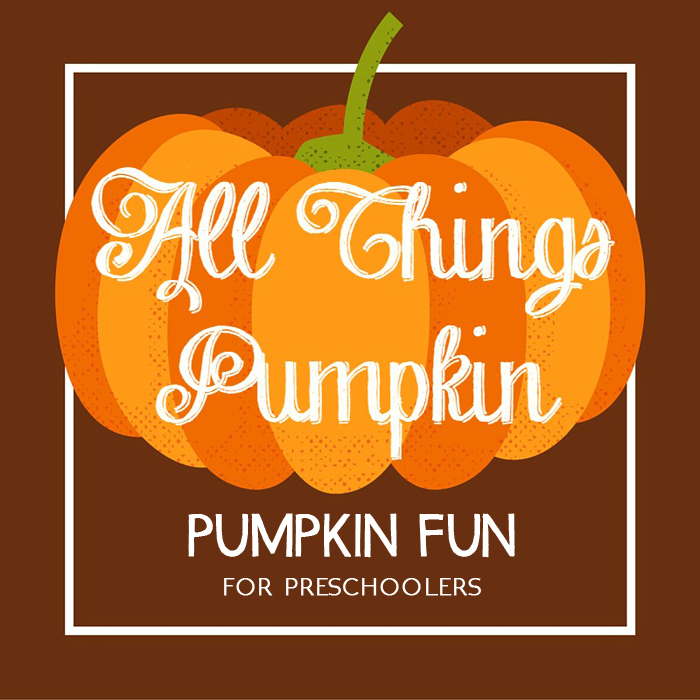 Since Halloween weekend is almost here, I decided it would be fun to spend an afternoon with Noah doing lots of pumpkin and Halloween themed activities. 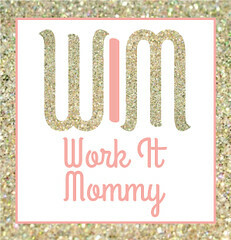 So of course, I immediately browsed Pinterest to get some ideas and find some free printables. And let me tell you, I found some good ones! So Friday afternoon, when it was a little cloudy and damp outside, Noah and I had a fun filled pumpkin themed afternoon! 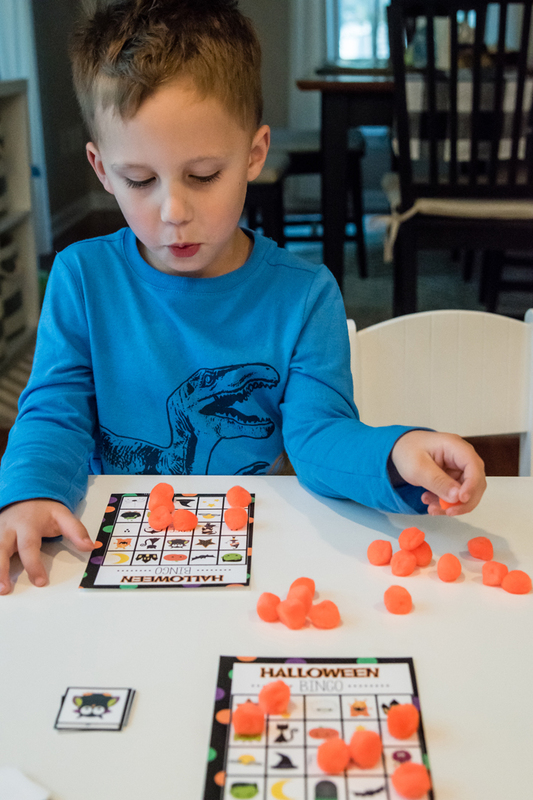 First up, I found this cute matching game printable. 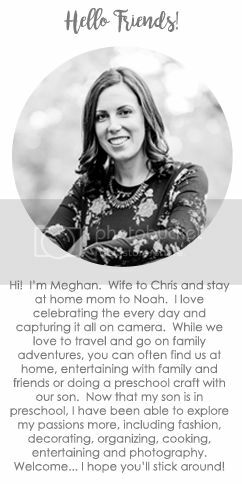 I simply printed it out on card stock, then cut along the dotted lines. I then set the cards out in rows and Noah and I played a few rounds of memory. 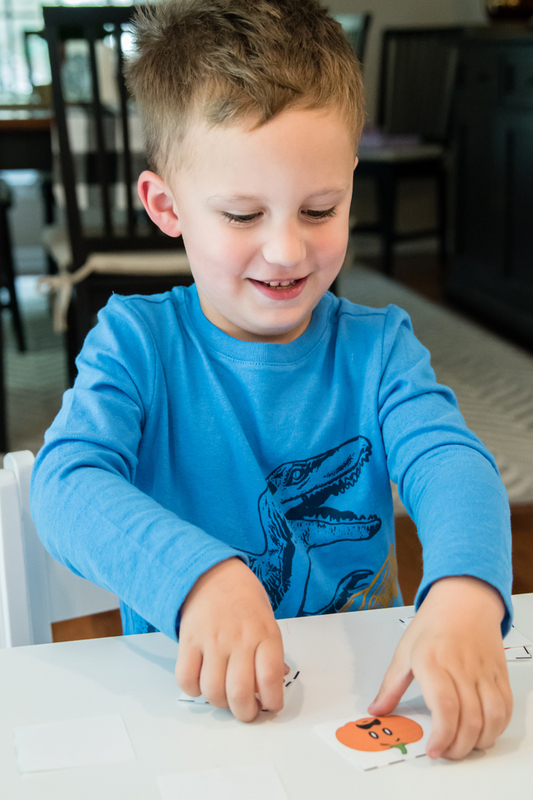 We have the Hape Wooden Animals Memory Game and play it often, so I knew Noah would love this. We also had fun identifying the different faces on each of the pumpkins. 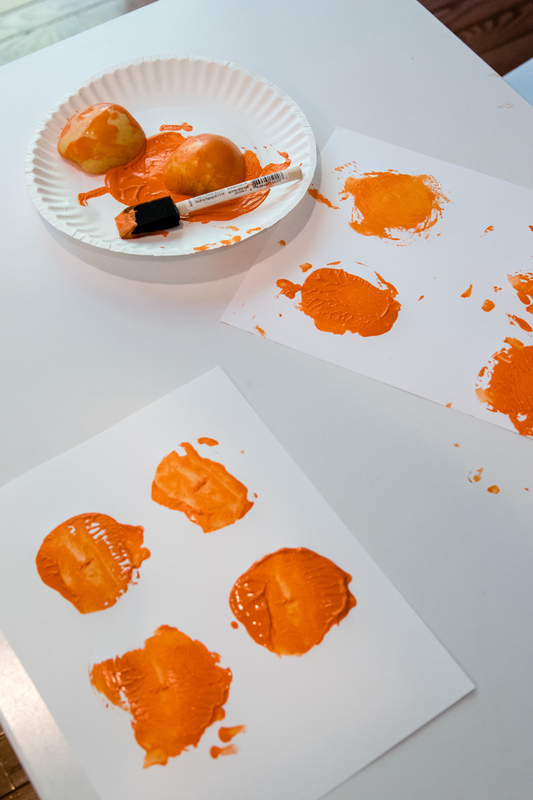 Next up, we made some pumpkins using half an apple as a stamp. They did not come out as pretty and clear as I would have liked, but boy did Noah have fun. And boy did Noah get messy! At first I had wipes nearby, but I quickly realized we were going to need more than that! And to think this was the craft I let him go without a smock! Thankfully we were using washable paint and he didn't get any on his clothes anyway. 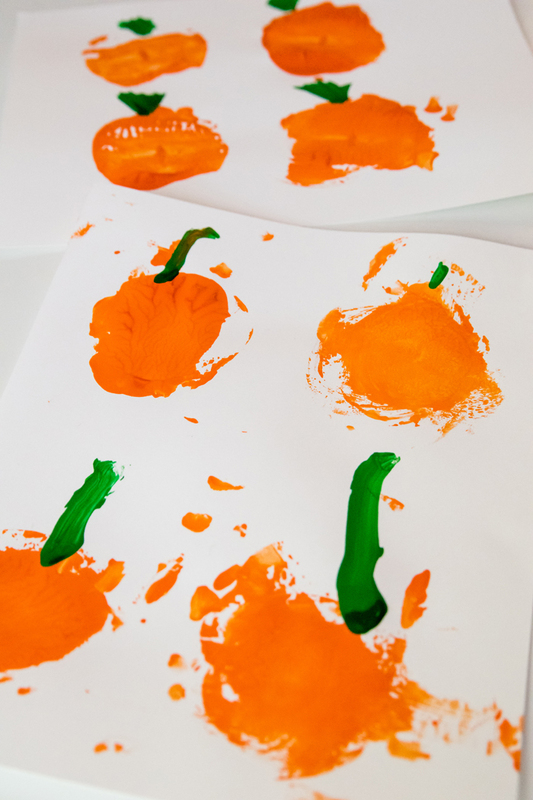 After stamping our pumpkins with the orange paint and washing our hands, we then grabbed the green paint and some paintbrushes to make the stems. Not sure what I was thinking, cause while Noah made a correct pumpkin stem, I was making leaves. Apparently the time has come that my almost 4 year old is smarter than I am! Once the pumpkins dried completely, we took a black marker and turned them into jack-o-lanterns. But really, they are cute just as pumpkins too! 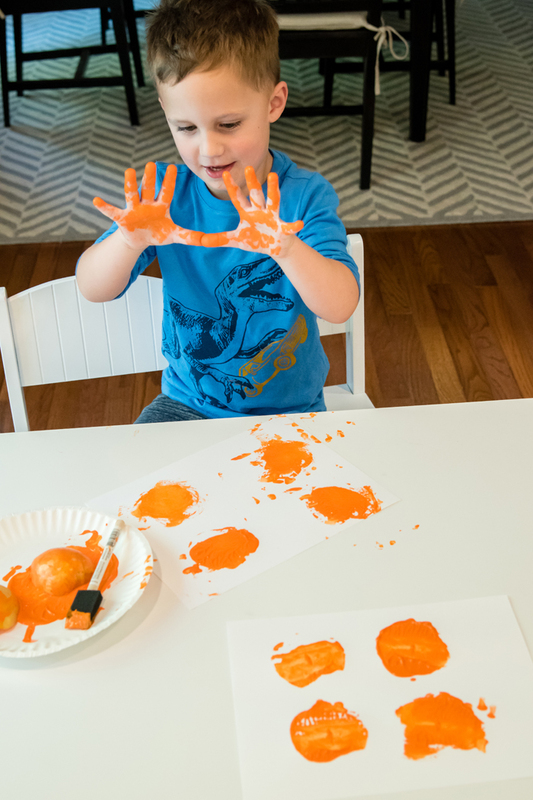 ^^^ and no, we weren't finger painting, he just got that messy! 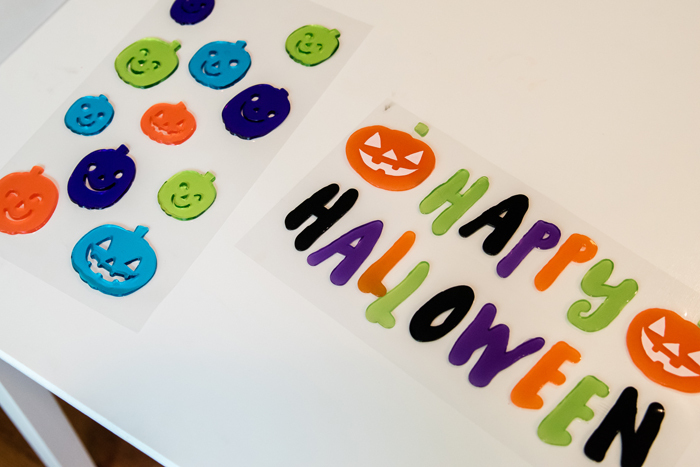 And finally, I remembered that I had picked up some Halloween themed gel clings from the Target dollar spot. 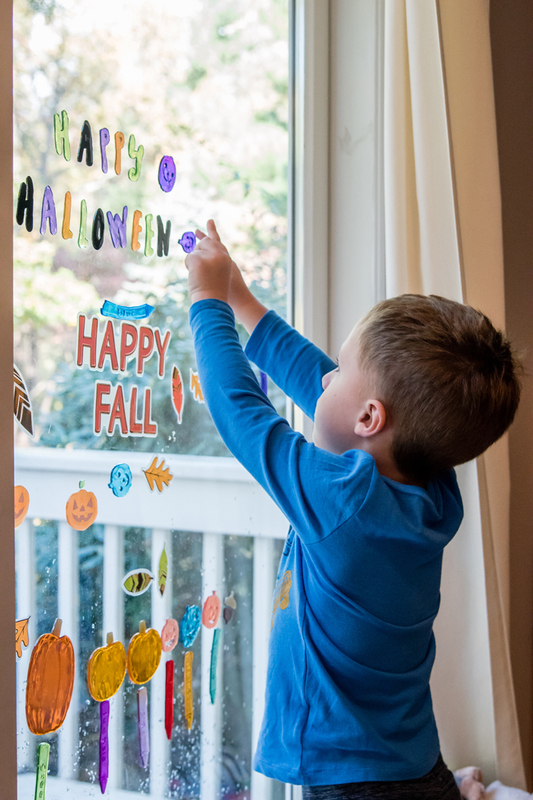 I set them out on the table and let him decorate the glass doors that lead out to our deck. Random tidbit... in the past I would have him decorate our glass storm door at our front entrance. But it seemed that with people coming in and out of there a lot and the change of temperature, the gel clings would constantly fall off. So far we've been having much better luck on the back door. We still had our back to school and Fall gel clings up, so he just added to the festive fun... the more pumpkins the merrier right!?! Noah asked me to put the Happy Halloween up while he did all the pumpkins. His favorite thing to do after putting all the pumpkins up, was to sing "5 Little Pumpkins Jumping on the Bed". Yes, he sings the monkey song, but instead of monkeys, it's pumpkins jumping on the bed. Doesn't fully make sense, but it's absolutely adorable! 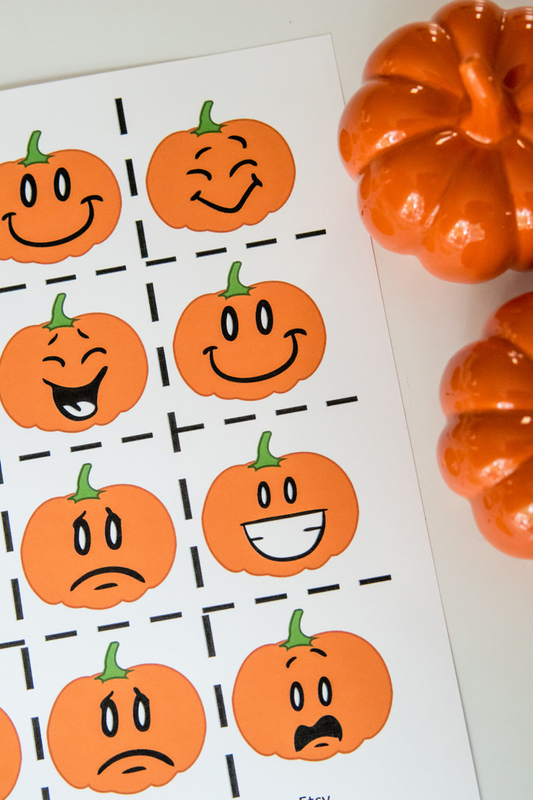 What pumpkin themed crafts or games have your done with your kids this year? AND the Tuesday Talk Linkup! We had a pumpkin day yesterday too! 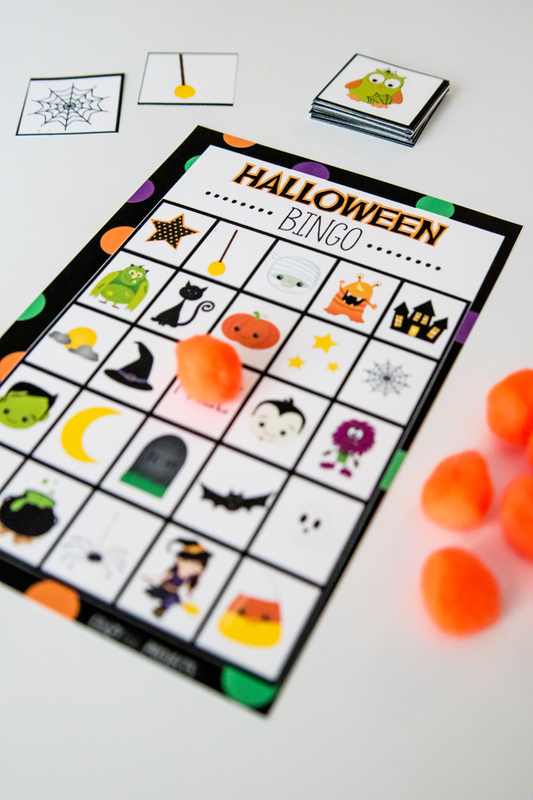 I found the same Halloween Bingo game last week and Cam has loved playing it. His favorite part was that I let him use candy corn as his markers and he wante to eat it all. Ha ha! You guys have been so buys having pumpkin fun. I can't believe that this time next week it will be November! So, so fun!!! 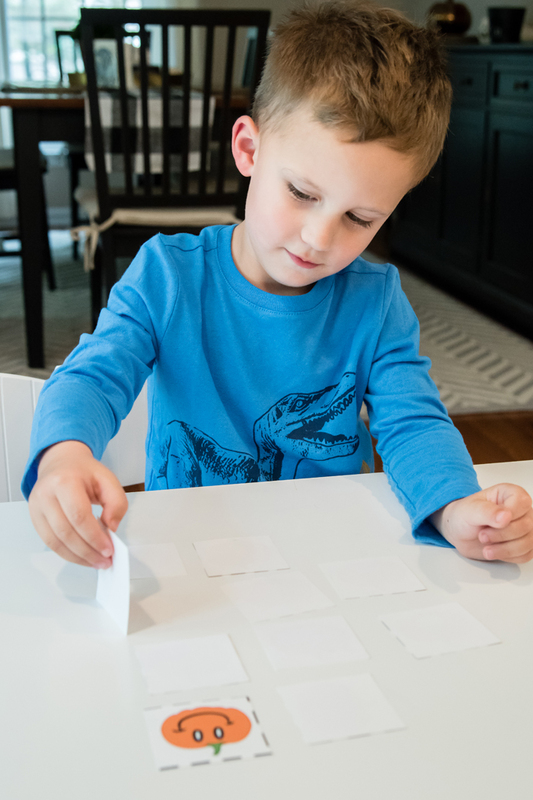 The matching game would be a hit with Wesley! Oh these are great! Good job, friend. 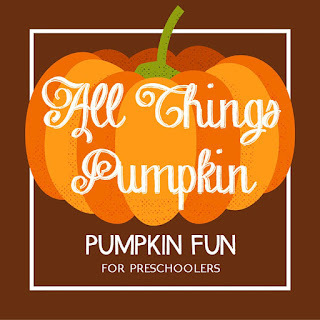 So much pumpkin fun. 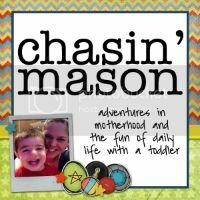 You have nailed the fun mom title! I just pinned the Bingo game, thank you!! 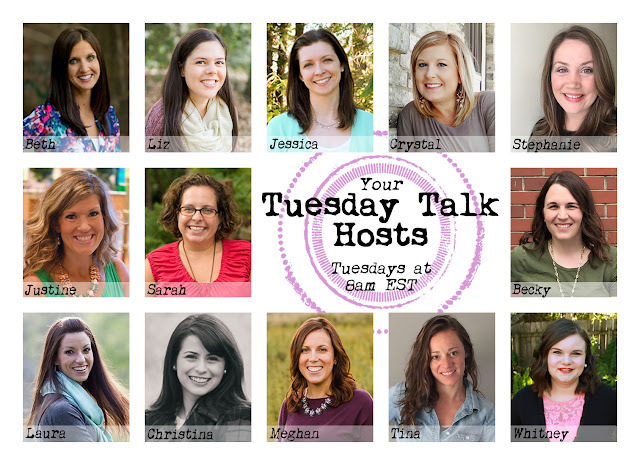 What fun ideas!!! These would be perfect for a halloween party or little halloween get together. I especially love the bingo one! Love these ideas. We have been doing a lot of stickers, but I might have to squeeze in a few activities like yours too!